Don't get caught with a uncharged battery! This incredible Sprint® Car Charger Adapter is built so you can charge your mobile phone device on-the-go in your car. 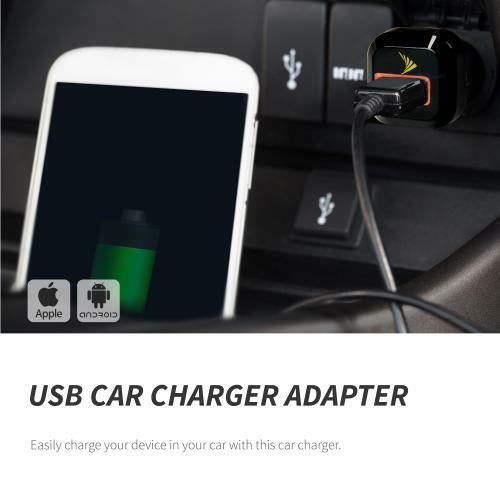 Even when you forget to charge your cellphone, you can have this universal USB car charger by Sprint in your car so you can conveniently charge your device while going to work, school, or traveling. 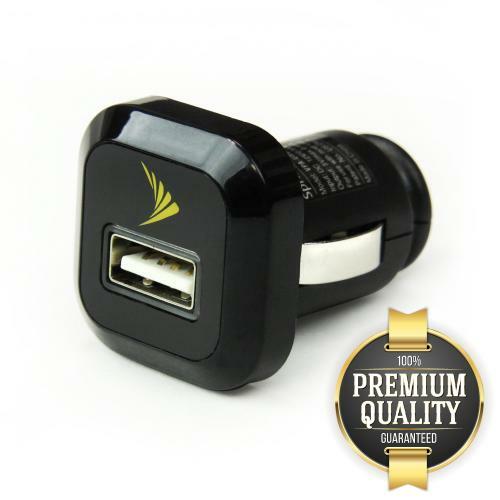 Make sure you are always prepared to charge you mobile phone device with the Universal USB Car Charger Adapter (850 mAh) by Sprint®! Now, we can get full charges throughout the trip! This little guy has a lot of power, good speed for a car, and extremely small. Fits tightly and very much approve of this car charger! This thing works great! Very fast charging compared to all others I've used. Fit snug in the outlet, inexpensive but completely functional! Awesome! This car charger works great on my iPhone, high quality, inexpensive and they just work for a reliably long time. Highly recommend Geeks, they will keep getting my business! Very pleased with the purchase. This is good quality, compact, solid, and durable. It charges our phone faster and safe. Highly recommend. It seems sturdy, versatile, and it feels very high-quality USB car charger. Looks and works great! It charges our phones faster than the last charger. Love this charger and I bought several for our cars. It's very compact and very fast when charging my phone. Very useful! Durable, high power and so lightweight. Just what I need to easily and quickly charge my phone. It seems a good quality car charger! Very pleased with the purchase! Very nice car charger, I've used several differend brands of uSB car charger before and this one is the nicest one we've used. It's very compact and very fast! Works wonderfully and takes up little space! Charges my wife's iPhone, Ipad, plus my Samsung and LG devices as well. Great product for the price! I can plug my phone in while I travel... Built-in protection, system against overcharging and overheating ensures superior performance safety and reliability. Perfect! Super low profile but works wonders! Very easy to use, small, and powerful. This is the best charger in my car. It just works great. Packaging was as good as expected. Just charges and charges quickly. So happy with this product. So happy with this product. It just works and the packaging was as good as I would expected. This is small, fast charging and I can bring it anywhere I want. My best travel buddies! Super like this little plug! High quality, inexpensive and they work for a reliably long time. I strongly recommend this charger. Very good the speed is so fast and this is so cool! Awesome car charger so convenient for road trips. With reasonable price! It is really charging my iPhone faster than my old one, very quick. I'm very happy that I purchased this charger after much research. Fits extremely snugly in the port, charge quickly and compact. Absolutely worth the money for the purpose. Nice charger at a nice price! This is well designed, so far everything satisfied me in it's work. Compact, stylish and smooth appearance. Finally find one works in my car to charge my iPhone. Absolutely great! Small compact design. Works really well! Finally I got a reliable usb car charge and it works quickly. I travel a lot for works and this little guy is pretty convenient. Love this little plug! 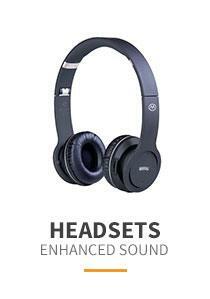 High quality, inexpensive and they just work for reliably long time. Perfect in my car especially on long driving. Great! Exactly as I had hoped it was. Excellent build and quality. Charges my phone fast and quickly. Easy to store. Extremely great car charger! I used it everyday especially when a long travel. Built with quality, strong and charge quickly! Very satisfied! Fantastic usb car charger! It is tiny, small and very powerful that kept my phone charges quickly and safe. Great in long road driving. 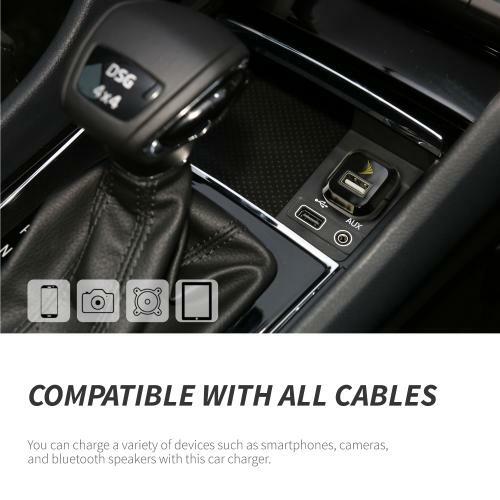 Very functional car USB Charger! Fits very nicely and very flush into the charging port. This is typically used to charge phones while in my vehicle. It works well! Very sturdy and well built. This is compact, functional, very convenient to have in our car and it's working well. Quick charge car charger! This is truly an awesome car charger! I used it to charge my phones that was at a low level. Great for a long road trip. Extremely great! This is the perfect fast charger in my car. The usb port even light up nicely! Very useful and functional. Many thanks! Great product that enough power to keep phone charging. I have no worries about long road driving. Very well, durable and good connection to the car power port. I love how minimalist and small this car charging device is. Perfect in my car, great for long drive, my great companion:) Thanks Geeks! Small, sturdy and it feels a very high quality. For the price this a great product, it charges my phone and Bluetooth receiver way faster than my last charger. Convenient and very functional. This is small, compact and very durable. My great companion especially on long driving. Perfect! Just plug and play. This is the best little USB Car charger I have used. This charger was working excellently delivering the power I need. Finally! This is easy to set up, use and keeps all my devices charged. Having just bought my third one. This is so cool! Price is good! Small, super slim and it works fine. Makes things so much easier than trying to figure out how to charge my phone when not at home. Awesome! 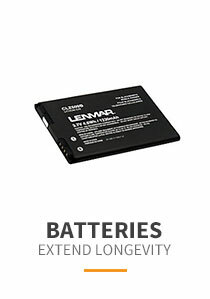 I often go on long road trip and my cell and iPad frequently lose battery power. But with this charger eliminates the possibility of me ever having to worry about being stranded. Great! Just simply love it and it works very well. I have one in my truck and I just got one for my wife's car. It charges quickly and good quality. Easily the best car charger I've ever owned. It's great and works fine. Very convenient to use and functional. Highly recommended. Fantastic product for the purpose. 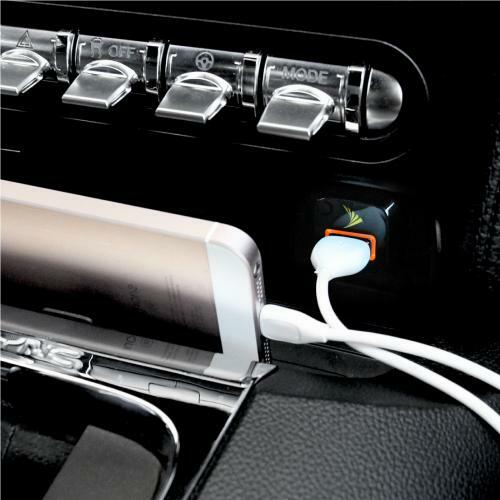 It works fine, it has a very slim design which is important for saving space in my car. Small, solid and very functional. Exactly what I was looking for. Super slim design, charges super fast, and I can bring it anywhere I go. With reasonable price! I love this outlet! Low profile and a sleek look. Well made and a premium quality. I use it almost everyday on my travel, especially on long driving. No worries! Great for my gadget, it seems to work fine than my previous model. Small and convenient to bring anywhere on my long road trip. Have no worries! It's great! It works fine and has a little light that tells you when it's plugged in and getting power, it seems sturdy, strong and very useful. Bring anywhere I go! Super slim USB charger. Functional and very convenient to use. Chargers super fast too! Great price! 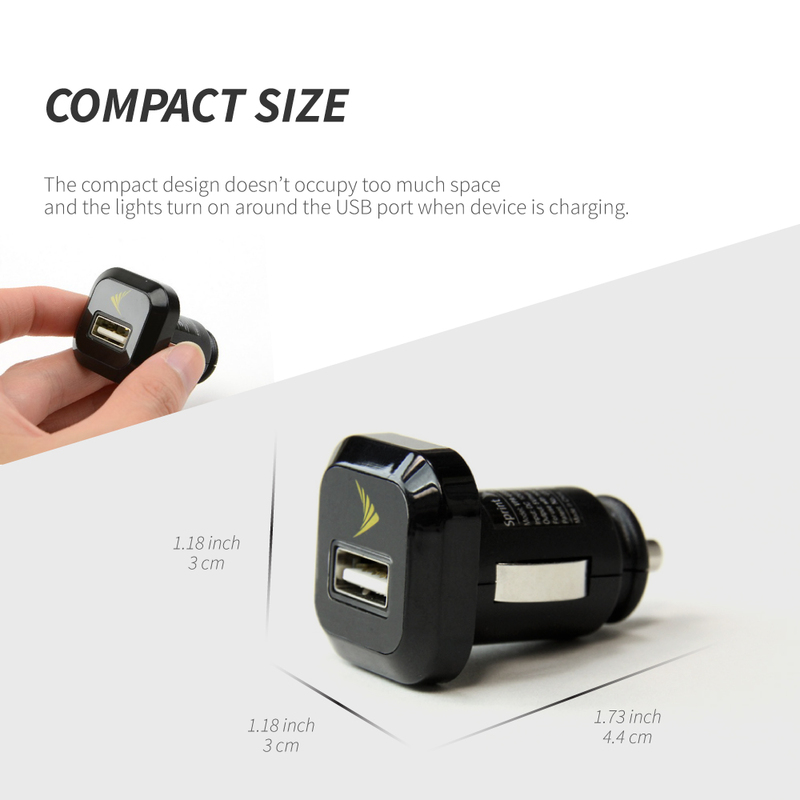 Great USB port car charger. 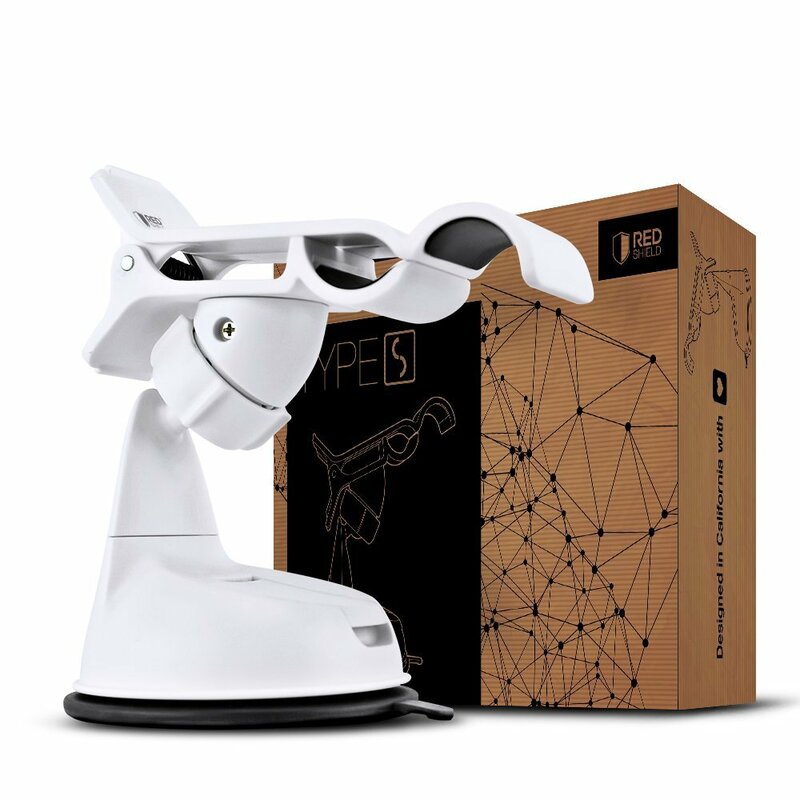 Very good quality for a good price and the purpose. My great travel companion. Exactly as pictured and perfect for car use to charge quickly. 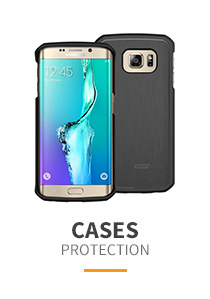 Premium quality, solid and very durable. I'm happy with this purchase and would purchase it again. Super slim design. 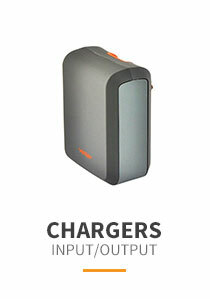 It charges super fast, very useful and functional. My great companion in my journey. 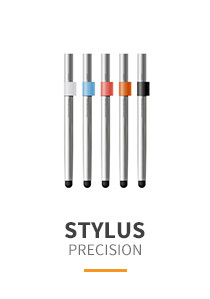 Great product for the purpose and price. It works well. This USB car charger fits very nicely and very flush into the charging port. Useful and very functional. I'm happy with this product so far. Good quality product. This USB car charger fits very snugly in the socket so it never moves or falls out, and it charges my phone quickly. Great price! It makes things so much easier than trying to figure out how to charge my phone when not at home! What an awesome handy car charger! Very functional and handy! Perfect for travels even in a long driving. Charges super fast too! Price is good! Highly recommended. Excellent product! Small, compatible for all cables, and very functional. I like the convenience of having the lighting cable in my car at all times. I would recommend this product. I love this car usb charger my perfect companion. It serve the purpose, simply amazing! it was great experience to have it! Charges my phone super fast! Excellent for charging while travelling this was awesome! Small , powerful, works well and great experience! Super love it! I absolutely recommend this USB Car Charger Adapter, i bring it every time and anywhere I go... Great product with excellent performance, quick charge feature, great to solve my issues with reasonable price. Feeling Happy! Great product! I had this one, and it's very useful in my everyday life! And it fits my 2 phones. I travel a lot by car so I always keep a car charger with me. 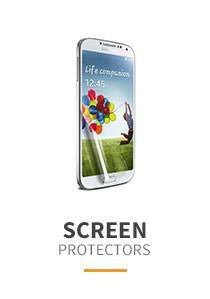 I bought this one because this item works perfect for my iPhone 4, my galaxy S3 and even my tablet. This charger is lightweight and there is no over heating at all. This is much cheaper rather than any other item and it does have a stable power. This really is a perfect car companion. This item is very useful to me as I travel a lot on a daily basis. 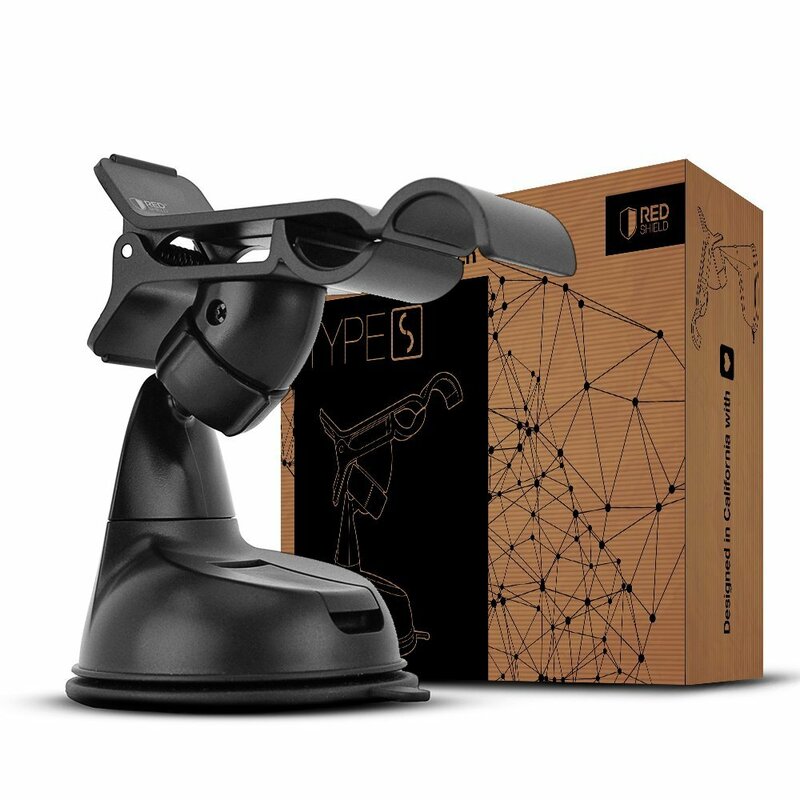 It functions well and I can say that the quality is great. Must have for other car owners who need items of this sort.